If it’s used on a wrecker or rollback, chances are that B/A Products makes it. As a manufacturer B/A can efficiently, promptly and economically produce chain, wire rope and web strap assemblies to meet any need. 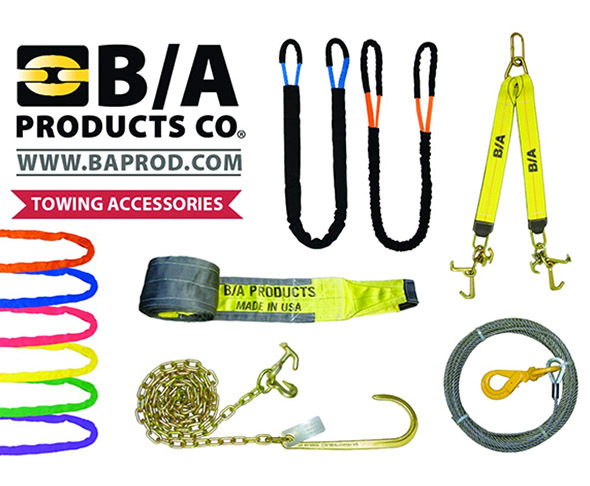 Contact your B/A Products distributor for custom designs. We sell through distributors worldwide. For more information call 800-327-3301 or visit www.baprod.com.